Let's begin, perhaps, with design. 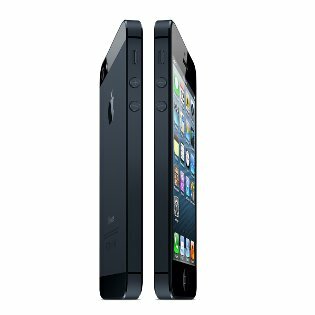 New iPhone 5 is thinner and it is easier than predecessors, however developers made every effort that it did not affect its productivity. Thickness of the smartphone makes only 7,6 millimeters weighing 112 grams. To achieve it, engineers of Apple created the nano-SIM card which is 44% less, than the micro-SIM card, and also combined the chips which are responsible for a voice transfer and data — in iPhone 5 one chip is responsible for data transmission and voices. Also for reduction of thickness of phone it was required to use thinner display. 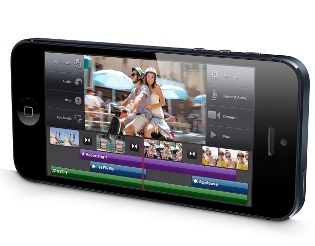 In iPhone 5 the touch Retina screen is used. Thickness of the display managed to be reduced thanks to lack of a separate touch layer from electrodes: now screen pixels at the same time form the image and act as the electrodes reacting to a touch. Thanks to it the new display is 30% thinner. The diagonal of the screen makes 4 inches, permission — 1136 on 640 pixels (326 dots per inch). Display width same, as well as at the iPhone 4S model, and here height is 9 millimeters more. Due to preservation of width all operations, including typing, it is possible to carry out with ease one hand. Colors became nasyshchenny for 44%. Viewing of large-format HD of video is supported. The case of phone is made of aluminum and glass (the same aluminum is applied at production of laptops of Apple). And the lens of the built-in iSight camera is made not of glass, and from a sapphire crystal which on durability from all transparent materials concedes only to diamond. Support by the device of wireless networks of the LTE, HSPA, HSPA standard + is declared, to DC-HSDPA. Also iPhone 5 supports Wi-Fi 5GHz 802.11n, the speed of data transmission makes to 150 Mbps. 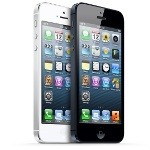 The smartphone is equipped with the Apple A6 processor and works at the iOS operating system of 6 versions. The A6 processor works twice quicker, than A5. It allowed to accelerate an applications launch, loading of web pages and the attached files from e-mails. Also this processor provides the best productivity of graphics. 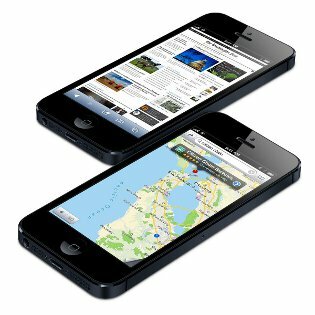 The iPhone 5 developers did everything possible that the increase in productivity not too strongly affected period of operation from the battery. The accumulator of phone provides to 225 business hours in a waiting mode, 8 hours of conversation or surfing in 3G networks, 10 hours of viewing of video or surfing on the Internet on Wi-Fi. 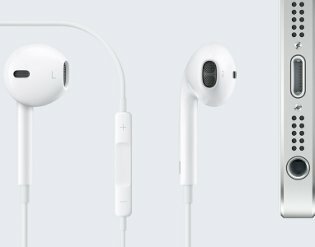 Fans of listening of music and viewing of video for certain will appreciate the new Apple EarPods earphones providing purer sound, thanking, in particular, to system of suppression of third-party noise. The back iSight camera with the resolution of 3264 on 2468 pixels allows to remove panoramas on 240 degrees with the resolution up to 28 megapixels, with it it is helped by the A6 processor and the built-in gyroscope. The application of the camera underwent a number of improvements, now capture of a shot became 40% faster, pictures also became better to turn out at bad lighting, suppression of noise was improved. The chamber allows to remove video Full HD 1080p and supports creation of pictures in the course of shooting of video. 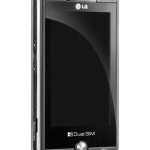 The forward chamber allows to make video calls, to remove self-portraits, and also to write down video HD 720p. As for appendices, it is worth paying attention to the new Maps appendix allowing to work with cards. Also the Siri system – the personal assistant using processing of the natural speech was improved. Support of the iCloud Internet service is built in iPhone 5. 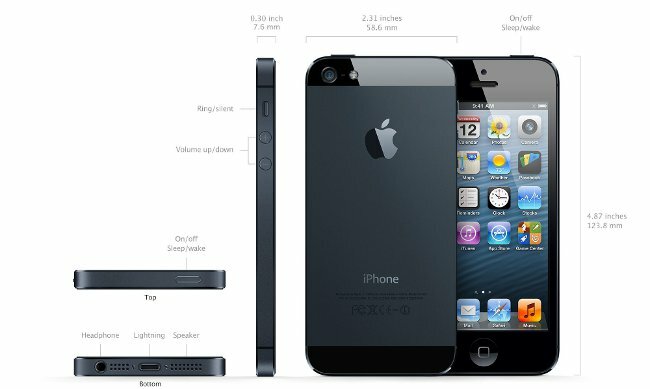 Sales of new iPhone 5 in the USA will begin on September 21, in Europe — on September 28, in hundred countries of the world (including in Russia) iPhone 5 can be bought by December. The cost of the smartphone depends on memory size: the model on 16 Gb costs 199 US dollars, on 23 Gb — 299 dollars, on 64 Gb — 399 dollars. Such prices are valid at the conclusion of the contract for a period of two years with AT&T, Sprint or Verizon, without the conclusion of the contract the price of the device will be higher. Since September 14 it will be possible to make online the preorder of iPhone 5. 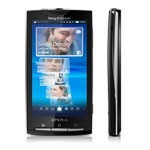 The main competitors of iPhone 5 are flagman phones from Samsung and HTC — Samsung Galaxy S III and HTC One X.
Xperia X10 Communicator The first communicator of Sony Ericsson Xperia X10 working under control of the Android operating system. 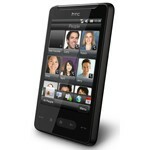 HD mini Smartphone In HTC HD mini technical perfection is combined with simple and attractive design. GX500 Mobile phone The LG GX500 mobile phone is executed in a formfaktor of a keyboardless monoblock, with attractive design.